This casual yet elegant restaurant features eclectic new-American cuisine and a carefully chosen wine list that includes twenty wines by the glass and many more by the bottle. Usually, everything is perfect. This time, my cod was not cooked as well as in the past. It was cooked, but needed a bit more. Other than that, everything was very good. 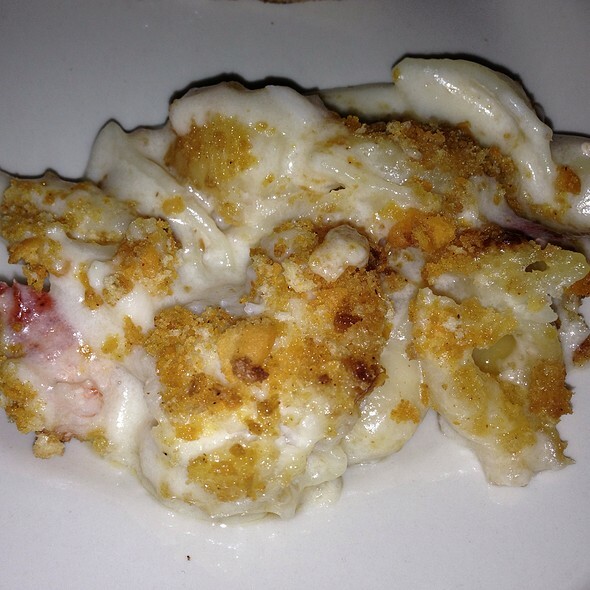 My husband and I dine there 6-7 times per year and have always had a great meal and service. Saturday we were a group of 9. We were seated right away and food and service were perfect. Not always easy with a big group. If you ever go and they have lamb chops as a special, ORDER THEM! We both had them, me well done, husband medium rare. They came out perfect. 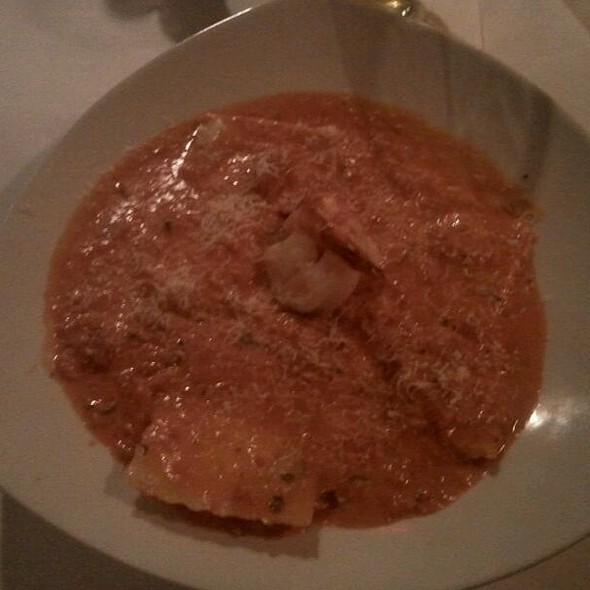 Delicious, we had a wonderful night. Place was slammin so make sure you have a reservation. We like the people that work there very much, it's a nice atmosphere when everyone loves their job. We made a reservation for a later dinner, originally just planning to get dessert. 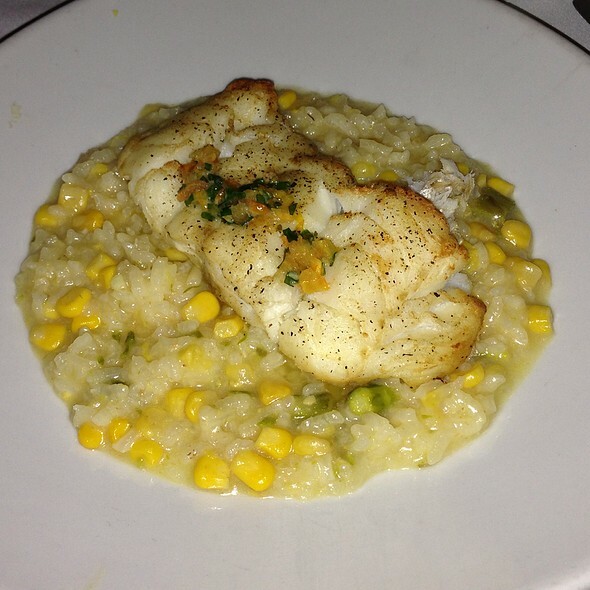 We ended up with the mussels app, the seafood risotto special that had scallops and shrimp on it (it was fantastic!!) 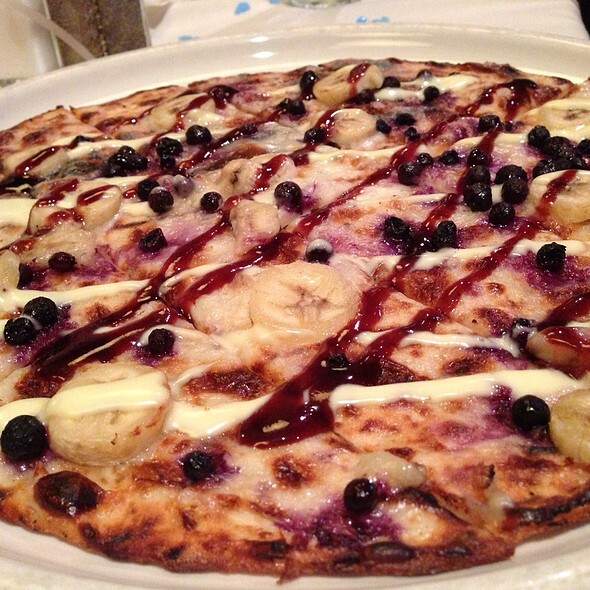 and we got the dessert pizza, which was SO unbelievably good. Nice time, service was great for a large party. Meritage is always excellent. Everyone on the staff go out of their way to give excellent service. The food is always good. We are never disappointed. Nice place wish they had more options on menu to eat! Years ago it was fabulous as a different restaurant! Took my girlfriend here for her birthday. I had the risotto of the day and she had the meatloaf. The service was acceptable but not exceptional. It was quite loud and the place could use a refresh inside. My risotto was very good and my girlfriend was thrilled with the meatloaf. Not a place I would go out of my way to visit but definitely worth trying. This is one of our favs! Great food and service! Great food great service as always!!! 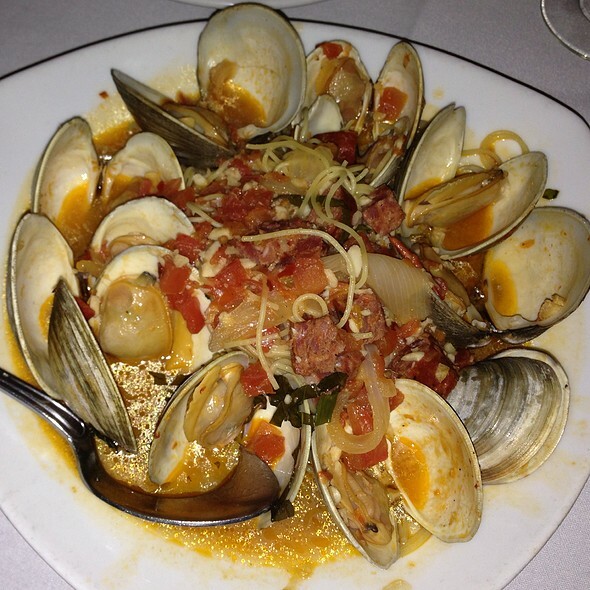 We love Meritage - consistently excellent service and food! This was our first time at Meritage---and it exceeded our expectations on every account---yummy, fair-priced menu----excellent service, drinks and little touches---like providing a birthday dessert. It was a girls night out!!! Great time , great food and great service. I requested a high top table and got one and that was appreciated!!! Meritage is one of my favorite paces!!! participate regularly in the Wine Dinners. There have not been any recently. The other night we ordered a bottle of wine and informed the server we had the Wine Enthusiast discount card to which she acknowledged. She never mentioned the card was expired until we went to pay the check. We feel that this is something that she would have known about before. We had used the card in February without any issues. This was disappointing. Generally I like it here. We can in early. waited a long time for drinks and food. Food was very good...only complaint was that it took a good 15 minutes at least for our drinks to arrive. Appetizer, dinner and dessert all arrived in good time, just our initial drinks. Overall everything was great. The food was excellent except for the Creme Brûlée which was more like a pudding than a custard. The music was a bit loud as we were sitting under a speaker. The waitress was great. Met friends for dinner on a Friday night with a 6:15 reservation. We were seated promptly and the server was very attentive. The Margaritas come in vat-sized glasses and all our cocktails were perfect. 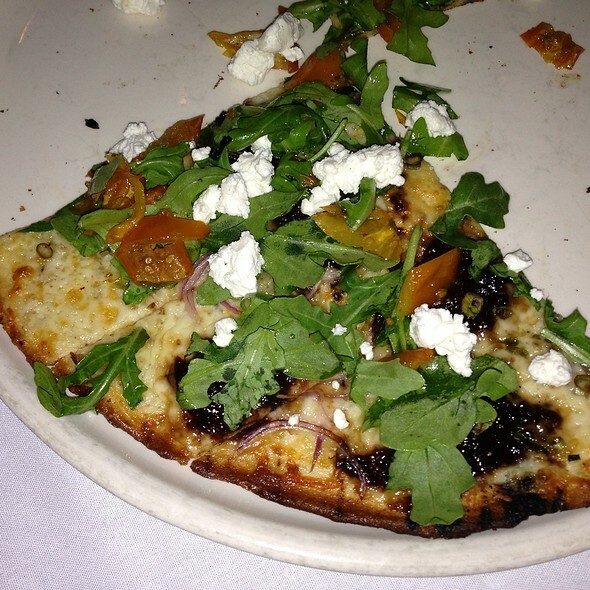 Love the food selection and the Fig Jam and Arugula pizza was terrific and good sized for 2. Our group had scallops, a burger with fries and the cold sesame noodles and it was all delicious. Best part was the prices were reasonable. Will be going here more often! Great food a little pricey than we expected but was well worth it. Our waitress was very accommodating to our food allergies and gave us some great alternatives. We will be back for sure! The food took at least 45 minutes to come out. In the meantime a couple that had come in after us, which there were only two of us as well, ate, paid and left before we were even served. The food was cold, it was a disappointing experience. We had the duck breast special and it was excellent. The taste and presentation was great. The waitress was attentive and friendly. Overall a pleasant dining experience. We went on a stormy Sunday and we got a nice seat by the fireplace. On Sundays they have buy 2 dinners and $20 off a bottle of wine. Every once in awhile they will send out coupons and we had a spend $75 get $25 off. So we were good to go. Food was amazing as usual. Service was as well. This is our favorite place to go, for sit down dinner and also Happy Hour at the bar area. 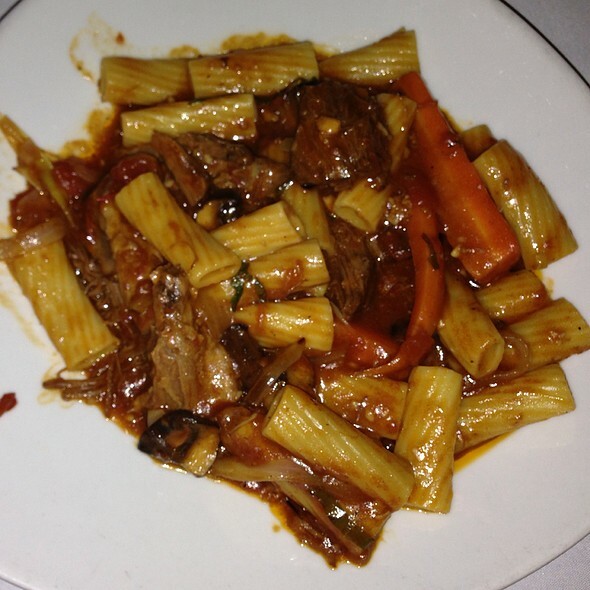 I love the Trio Kabob and order it quite often, Husband had the veal chop which he loved. Never disappointed. Great meal, great service as usual at Meritage. Tried all new appetizers and entrees and could not have been happier with our choices. From the moment we arrived we were greeted with smiles. Then we sat down and had a really nice round table. The waitress went above and beyond to make sure we had an awesome time. There were seven of us and everyone enjoyed their meal. We were surprised when we were treated to four desserts all delicious and compliments of the waitress. Three hours later we finally left. Was a fabulous time and i cant wait to go back. The drinks, food & service were excellent. They only offered 3 dinner specials & limited choices for seafood for a Friday during Lent. This was the only shortfall. It was my birthday dinner. Meritage sent me an email for a complimentary entree for my birthday! 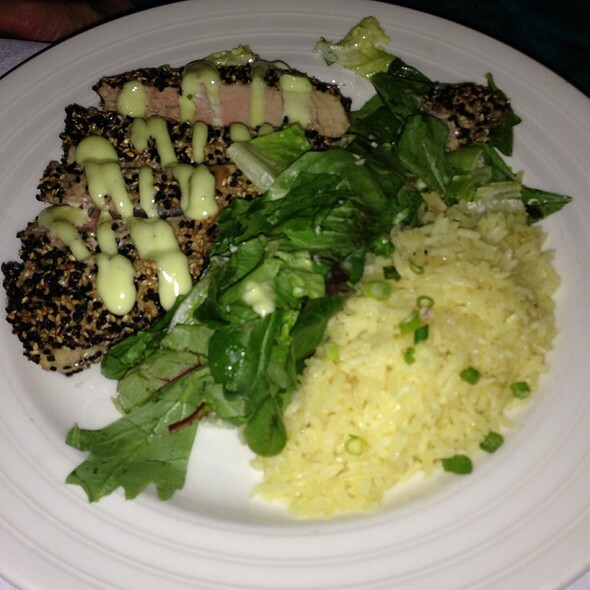 The food and service are always fantastic! The bar is really busy at happy hour and they have great specials. My friend and I met there for dinner, not happy hour. I like Meritage- it's a comfy, go to spot. Fantastic pear and Gorgonzola salad! Great swordfish special, and wonderful prepared cod based on my requests. Dillon, our waiter, alway provides a perfect dining experience. Find is always cooked perfectly! Serve is top notch. 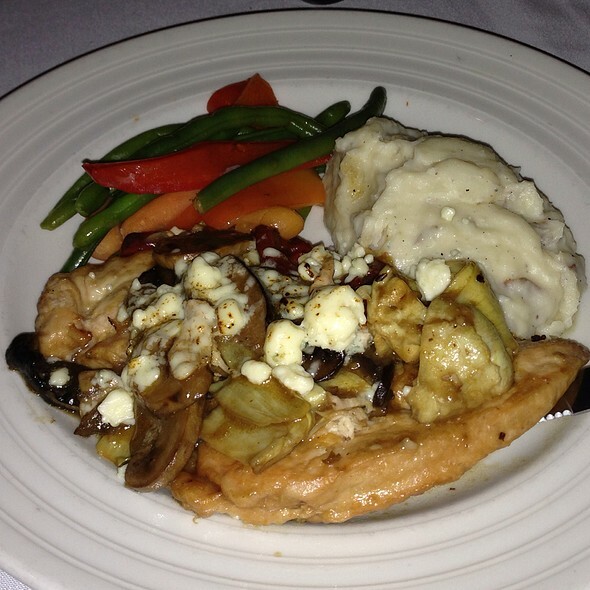 We always enjoy dining at Meritage.